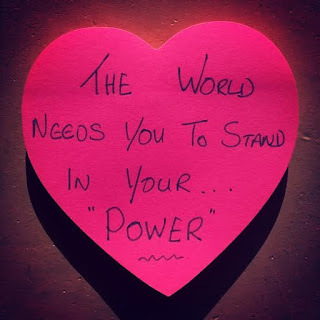 Are You Standing In Your Power? When you hear the word, “Power”, what do you think? Do you ever give up your power to be liked? To be accepted? Recently, I had the opportunity to consult with a Fortune 500 company and when they asked for a lower price, I froze. My brain just turned off. I didn't even try to negotiate. I just gave up my power. Do you ever give up your power? Maybe with your boss or mom or husband? I see a lot of women (and men) give up their power to be liked or accepted. Maybe you're super powerful at work, but then completely lose your power in dating. Or you're super powerful at the gym, but then don't stand up for yourself to a bullish colleague or boss. *To whom have I given my power away? Why? *What would it look like to stand in my power fully in integrity? If you aren't standing in your power confidently, then underneath is fear. Fear of not being liked or loved or accepted. I realized in journaling that I have a love/hate relationship with the word, power. So many people abuse power that it can be ugly. I realized that I have struggled with the middle ground between being flexible (walked over) and being strong (bitchy). The truth is that we haven't been taught a middle ground. We've been told to “be nice” and we've seen too many examples in society where strong women are called nasty. We ourselves have held it all in until we blow up in rage. So I made a commitment to walk the middle: Integrity, Truth, Confidence. Feminine Power is embracing and offering your WHOLE self. It's internal beauty, visionary creativity, fierce strength and deep heart wisdom combined. Standing in my whole power, I showed up completely differently on my next call with this Fortune 500 client and won the CEO over immediately. Even though we had agreed on the lower price for the first engagement, I already pitched follow up work and he loved the ideas! So, how could your life change if you stand in your power? Would you negotiate a bigger salary? Finally open the business you've wanted? Write the book? Start dating? Ask for the promotion? Tell your husband your true needs? Power is internal confidence. It's knowing that you're worthy not because of how you look or what you do, but because of who you are. In this week's episode of the PurposeGirl Podcast, I explore a new definition of power, and I give you PurposePower Tips to stand in your true power. Download the Podcast episode here and together, let's be our most powerful selves and change the world. What does it really mean to stand in your power? An interesting question and one that I deal with every day with each healing I do, standing in your power is standing in your essence, the natural you, your truth… So I hear you saying how do I do that? And who is the natural me? 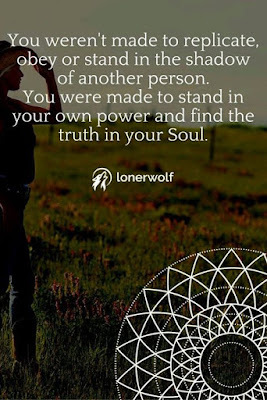 Standing in your power is surrendering and letting your soul ray shine, being fully connected to source and walking this earth in the integrity of you with love and compassion for self and others. If you step back from the rumbling of noise that comes out of your mouth everyday, as you are only responsible for you! And stop for a moment to gather your thoughts from a place that is connected to you, do you really need to say all those words or are you just saying them to control, feel safe, feel comfortable, or fill the gap… Once you have stopped feel into your truth, the things you really want to say, but are afraid of saying, think of the people you want to say them to, go deep, go back, look at the story associated with what you want to say… then ask yourself is it going to serve me or them by saying this or should I just let it go…If you decide to let it go, really do let it go…If it comes back 3 times then you need to say it to them, just to clear yourself of it, write it in a letter if it is to hard to speak. 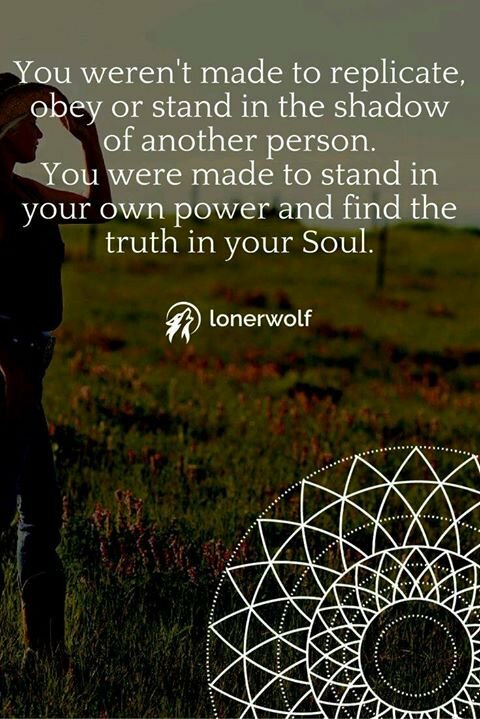 As we are now in the present and the past is gone and the future is not here yet, can you make a vow that you will speak your truth, be you in front of people and not stand in your archetype or personality? Can you let go of your wall and trust that people will like you just the way you are? I feel very comfortable saying that when you stand in your power and speak your truth, people will listen, because you are speaking from your heart with integrity… In fact they will listen so much, because it is refreshing and so lovely to hear someone speak in their truth, people are getting so connected now to their intuition that they can see through the layers and the noise to see the real you, so why not just be it and show it. What are you really worth? What do you deserve? Be the prize, don’t settle for less from anyone, that is the example you set for your children, your relationships, your work…everything.. Result is unconditional love! The most important thing about standing in your power, your truth… is the love of you and your body (your vessel or vehicle for your journey on this planet). The healthier your body is the longer you get to explore, awaken, experience and discover the magic that is life on mother earth.